Many people go vegan with the intention to extend their choice as far as possible and practical in their lives to reduce the suffering and death of animals. This means changing their diets, choosing to avoid animal products in clothing, shoes and bags, and potentially avoiding pharmaceuticals. For some, this even extends to their dog’s diet. Changing your own diet to veganism creates many questions and requires extensive research. Changing your dog’s diet to a vegan one requires the same thorough research and question answering. We seek to help you understand how healthy a well-planned vegan diet is for a dog as well as what it may lack as we answer the following questions. 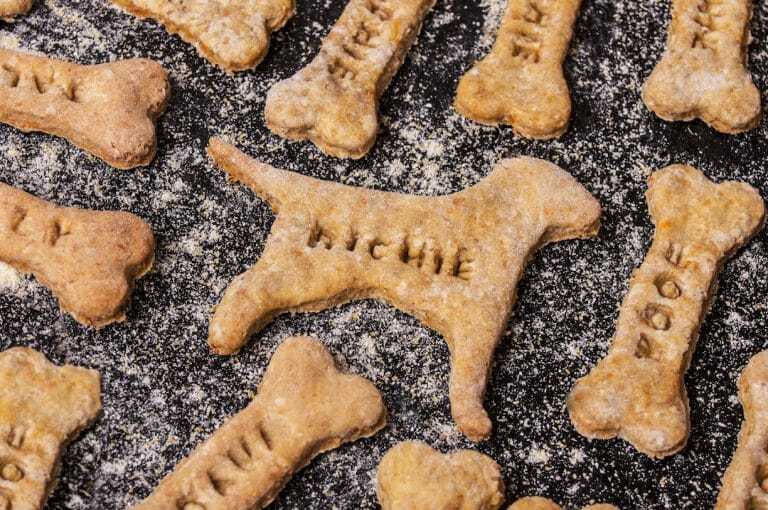 Is a vegan diet safe for dogs? What nutrients do dogs need to have to thrive on a vegan diet? What vegan dog brands are available and reputable, and can you make your own dog food? Why would one choose a vegan diet for their dog? Choosing to feed one’s dog a vegan diet arises out of the same reasons a human would choose to eat vegan. Ethically, vegans do not support eating animals or using them as commodities and do not want to participate in a system that does so. This means avoiding animal products in all ways, including food for their dogs. For health reasons, many people go vegan as a way to alleviate various ailments. Vegans believe that a vegan diet can help alleviate certain health conditions their dog suffers from and that since dogs are omnivorous they can thrive on a plant-based diet. Some dogs even have allergies to animal foods such as beef, dairy, egg, chicken, lamb, pork and fish, making the case even stronger to feed them an animal-free, vegan diet. What does a vegan diet look like for a dog? A vegan diet for a dog can look a lot like a non-vegan diet for a dog. There are several brands of vegan dry dog food available, making it a fairly easy switch with little change. It’s also possible to make your own dog food at home from a variety of plant foods. Supplementation can also be a part of a vegan diet for dogs but depends on what you’re feeding your dog and if it’s fortified, or if you’re making your own food then supplementation may be considered essential. Aren’t there some vegetables and fruits I can’t feed my dog? Aren’t dogs carnivorous and require protein to thrive? While there is some debate, it’s widely accepted in the veterinary world that dogs are omnivores and have adapted and evolved over the thousands of years they’ve been around to consume starches, grains and plants. Dogs do not require meat to get protein as there is plenty in whole grains and beans. Premade vegan dog foods have been formulated to ensure vegan dogs get all the amino acids necessary. It can be challenging on a dog’s system to efficiently absorb plant protein so be sure to look for brands with a high protein content. What nutrients do I need to ensure my dog thrives while on a vegan diet? As we discussed previously, a higher amount of plant protein is needed to ensure dogs can assimilate enough of it. Two amino acids that are worth considering supplementing are Taurine and L-Carnitine. These proteins are typically put into vegan dog food but if you’re making your own it is worth researching and consider adding them to your dog’s dietary regime. B12 is another nutrient that is often added to vegan dry dog food but must be supplemented if you are creating your own. Do I need to supplement my dog’s diet? Supplementation is typically only needed if your dog has specific health conditions or if you are making all your dog food from scratch. Do vets support vegan diets for dogs? Are there any studies I can show my vet? 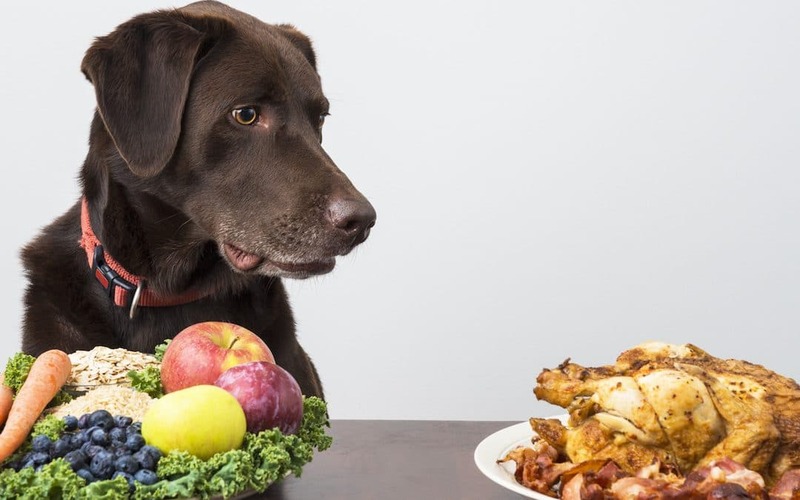 Vegan and vegetarian diets for dogs are becoming more common so many vets have heard of them. Whether or not your vet may support you is another story. It’s wise to go in with information, whether that’s a bag of the food you’re using, supplementation information, or the recipe you’re using and a breakdown of its nutrients. Being informed can go a long way in helping your vet understand your choice if they aren’t supportive, to begin with. Here are a few studies that may be helpful to print out and take with for further consideration. An experimental meat-free diet maintained hematological characteristics in sprint-racing sled dogs. “In this study, 20 dogs and 15 cats underwent a clinical examination and blood assessment. Inclusion criterion to undergo blood assessment was a minimum length of 6 months of exclusively eating a vegan diet for both cats and dogs, with the extra requirements for cats to live indoor only. During the clinical examination of participating vegan cats and dogs, no abnormalities were detected that were to be associated with the individual diet. All examined dogs and cats appeared happy and bright, some fearful, some aggressive. No diseases could be found that were directly and obviously relatable to a plant-based diet. When searching for vegan dog food, it can be helpful to look for products that meet the AAFCO standards. This association helps to safeguard animals and consumers through a variety of means including using expert nutrition opinions to establish nutrient standards for dogs and cats. V-Dog – A dry kibble that meets or exceeds all AAFCO nutrition standards, has 24% protein and includes both taurine and L. Carnitine, and B12. This blend is free of corn, soy and wheat. Evolution Food for Dogs – All items offered meet AAFCO nutrition standards, dry kibble is 30% vegetable protein, is non-GMO, and is fortified with taurine and L. Carnitine, as well as B12. Available in both dry and wet food and also as an organic dry formula that is grain free. Halo Vegan Garden Medley – Available in both dry and wet food, Halo offers non-GMO dog food that is free of rice, corn and wheat. Contains 20% protein, taurine and L. Carnitine as well as B12. Wysong Dry Vegan Dog Food – Meets AAFCO standards, is about 26% protein, and contains both taurine and L. Carnitine as well as B12. Gather Endless Valley Vegan Dry Dog Food – Meets AAFCO standards and is about 22% protein and contains taurine and B12. This product is organic and non-GMO and is free of wheat, corn and soy. If you’re interested in making your own dog food we’ve gathered a few recipes from the web to help you get started. It’s also worthwhile to check out Facebook groups such as “Vegan Dog Nutrition” to meet others who are passionate about plant-based dog food and share recipes and tips with. Switching a dog to a vegan diet is not only possible but easy! With the availability of several high-quality vegan brands, access to vegetables and grains and a few vegan dog supplements your dog can go vegan with you and thrive. It’s not always the easiest choice to go vegan or choose a vegan diet for our pets, but with a little research, commitment and love, anything is possible. Saving the planet and animals that live on it can coexist with feeding our dog’s a diet that enables them to thrive and live long, healthy, happy lives.